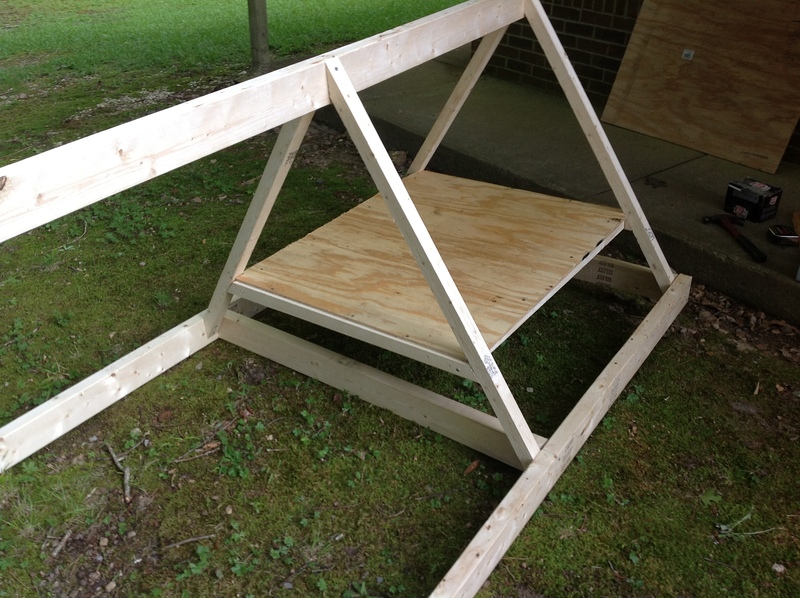 I am procrastinating on my dissertation… therefore, I decided to write a blog post on the cost of making the chicken tractor, as requested. This isn’t a design plan, because I don’t think this design would be worth replicating in its current state. Since I am at a summer camp, and only need a functional space for 8 weeks, it serves what it needs to do. This is the coop with a door. This was a temporary tractor designed to finish out growth of hens, NOT meant to be an egg producing hen box (though, with a couple of coop adaptations, that could be possible. It isn’t quite tall enough, but I elevated to coop for protection from predators (and to provide shade). I used 2×4’s for the base. A full 8 foot, and 40 inches wide. 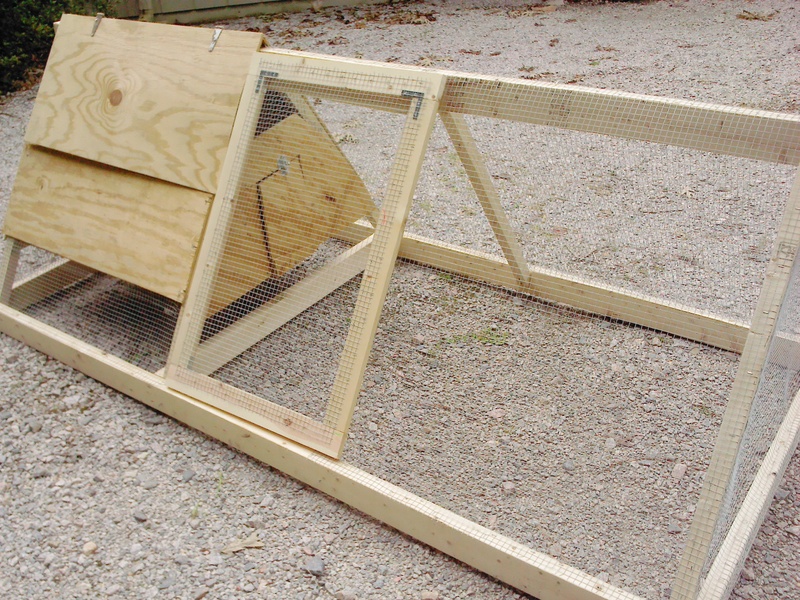 There were three middle struts (seen below), I would put the one under the chicken coop as a 2×2, just so chickens wouldn’t be crushed if it suddenly dropped. I would paint the inside of the coop and seal it as well. Or put down something to make cleaning even easier. The 1/4″ plywood requires shorter screws then I had. It is ok for growing out, but once 10 weeks set in, it is difficult for them to get inside.